Dollar Tree is in an extremely competitive industry. And in order to keep their market share, they want to know how they’re doing! 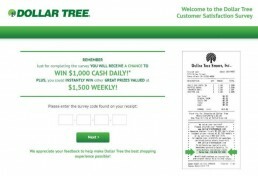 So – they’re hosting an official survey called DollarTreeFeedback where you can share your experience and go in the running to win $1,000 cash every day! You’re more than welcome to read the official rules. Click here to download them. Were you easily able to find what you were looking for in their store? 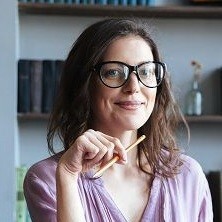 Did you require assistance from one of their staff members? Were they friendly and polite? How easy was it navigating Dollar Tree’s aisle? Was the store clean? On a scale of 1-10, how likely is it that you’ll go back based on this experience? Would you recommend this particular Dollar Tree to family and friends? Is there anything they could’ve done to improve your experience? Did you encounter any problems during your Dollar Tree visit? Why does Dollar Tree care? Dollar Tree care because there’s too much competition not to. Think about it, if you or another customer had a bad experience at one of Dollar Tree’s stores and they didn’t care about your feedback, you’d make the easy decision to never visit one of their stores again. That would be unbelievably bad for their company. 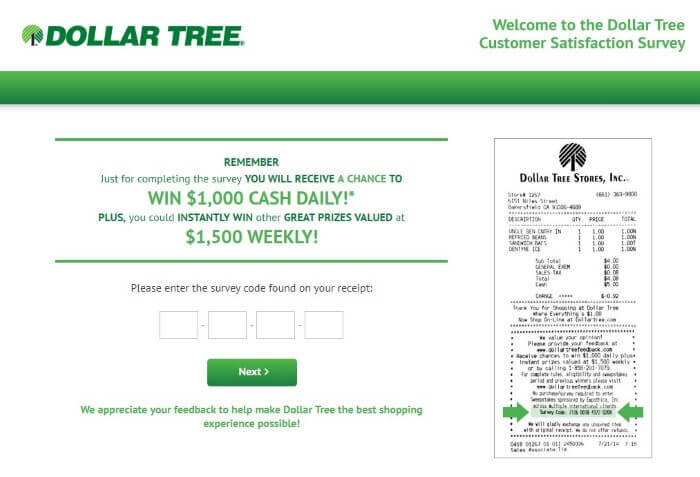 So – they’re showing everyone they do care about all the experiences customers have in their stores by hosting this survey, the official DollarTreeFeedback and asking all previous customer to share their experiences. Chances are that you’ve never been on a trip to the mall without either spotting or going into a Dollar Tree store. It currently has almost 15,000 stores across the US and Canada, that’s a whole lotta bargains to be had! The story begins in 1953 in Norfolk, Virginia. A store was opened by K.R. Perry, at that time it was actually called Ben Franklin and later became known as K&K 5&10. 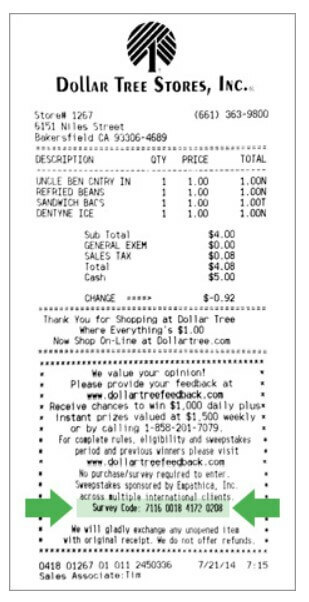 It wasn’t until 1986 that they launched a store by the name Only $1.00 which later became the Dollar Tree we know and love today! They started out with just 5 locations; there were 3 in Virginia, 1 in Tennessee and 1 in Georgia. They expanded rapidly and mainly were featured in malls. 1991 was when they decided to ditch their former business models and go ahead focusing solely on the dollar store idea. In 1993 their name was changed to Dollar Tree Stores and in 1995 they decided to go public to raise themselves some funds. 1996 saw them purchase another company called Dollar Bill$ Inc. which added 136 stores in Chicago. They even took over the 98-Cent clearance centers in California in 1998, and then bought Only $One, in 1999 which was a New York-based dollar store chain. They bought, bought and bought some more throughout the ’00s with stores including Dollar Express and Greenbank’s. They bought so much that I can’t keep up with it! 2004 saw them open a store in North Dakota which meant that they were then officially operating in all the lower 48 states, and in 2009, they took the store online! The website was primarily for those who wanted to buy in bulk or locate stores and find out about local events etc. In 2010 they bought a bunch of Dollar Giant stores in Vancouver, Canada, alongside a whole host of other dollar or less type stores in other provinces in Canada. They then continued to spend the best part of the last 8 years doing what they do best… yep, you guessed it! Buying more and more chains and expanding rapidly. When I was browsing the web, I found out that if you’re super lucky, you can score yourself a $1 steak from time to time at Dollar Tree – Now I am not guaranteeing how good it will be, and there are some pretty grim press articles on the quality, but, hey, for a buck it’s worth a shot right?! I’d love to hear your feedback if you’ve tried a Dollar Tree Steak! Let me know in the reviews below! Funnily enough, despite the company standing by their $1 price point even after numerous acquisitions, if you visit one of their Canadian branches you will actually pay $1.25 for everything…maybe it’s the exchange rate *shrugs shoulders*. As with many big companies they do like to give back to the local community. They primarily like to focus on the areas that surround their distribution centers and ask that donation requests follow their ‘C.A.R.E.S’ principals. Otherwise, you can read their FAQs here. Or you can give them a call on 1-877-530-TREE. Want to get in touch with a store near you? Use their store locator and contact them directly.